Engage Nothing moves people like the moving image. We tell action-driving brand stories through video and select written content across multiple channels, and create digital marketing strategies for companies of all sizes. 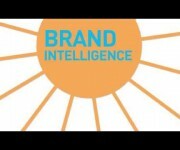 We make B2B corporate videos and B2C marketing videos, for all sizes of company. We’ve produced corporate films, interviews, live events videos, TV spots, web spots, product demos, animation, explainer videos, whiteboard videos and more for wireless companies, sports apparel, insurance, software companies, education products, book publishers, non-profits, and more. Our process always starts by collaborating with our clients to produce the right type of video with the right messaging and calls to action, to engage the target audience. We wrote and produced this animated video aimed at the travel industry, capturing some 4,500 views, making it Webtrends’ most popular video ever. We strategize, write and produce killer TV spots, web spots, :15 and :30 second commercials, dramas of all kinds. We have produced regional and national TV spots, infomercials, and even worked on Super Bowl spots. Writing for and directing actors, and producing engaging live-action video is a special skill. It’s a technique that can be right for business, but you must have a strategy for why you believe a commercial or a dramatic video is right for your company. We can help. For the second year in a row, Big Brand Stories produced a video promo for the Portland Ad Federation event for Design Week in Portland. Here is our latest animation reel (from late 2014). This highlights some of styles of animation, including explainer videos, whiteboard videos, After Effects, Motion Graphics, Flash animation, and more full animation. 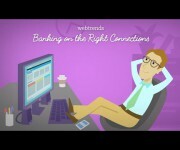 This was the second in our popular series of animated videos for one of the leading web analytics firms. This one aimed at the Financial Services industry. Big Brand Stories produced this promo for the Portland Ad Federation event, "Dissecting Design," for Design Week Portland. Featuring Eric Park, Creative Director of Ziba, Elizabeth Dye dress designer/owner of The English Department, and Sam Huff Founder/Designer of Tanner Goods leather company. Long-established Green Globes, from the Green Building Initiative, is an affordable hands-on system that assesses and certifies green buildings throughout North America. We produced this popular video explainer. Over the past several years, we have created many types of videos for the innovative classroom audio company, Lightspeed Technologies. 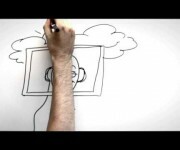 This is one of a dozen and a half branded product demos we wrote, directed and produced for them. Unique big-data software platform Brand VO2 screens out 90% of online noise and helps companies measure their brand health in real-time. Its secret sauce measures brand equity, identifying emerging threats and opportunities for brand line extensions and product innovation. This upbeat :30 TV spot was done on a whiteboard to illustrate the great deals on iPhone's when the Western-states Viearo Wireless began carrying the phones. It was one of a series of videos we wrote, produced and directed for the innovative regional phone service provider. Business and marketing video production in Portland, Oregon. © 2017 Big Brand Stories. All Rights Reserved.